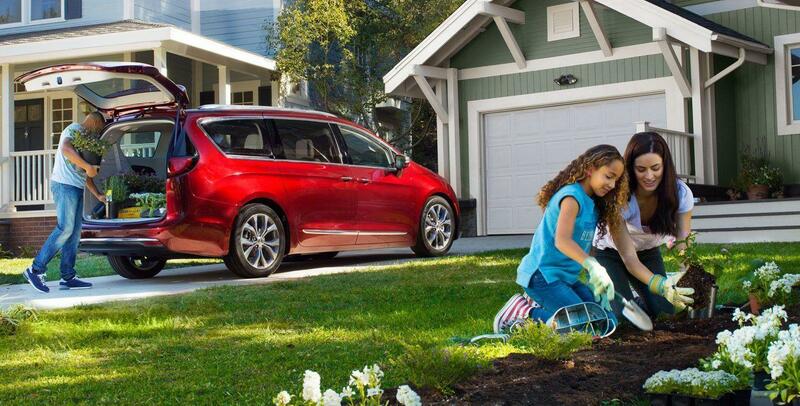 Chrysler has been creating the best minivans on Earth since their first in 1984. As you might expect, the 2018 Chrysler Pacifica is doing an amazing job continuing this legacy. Because we only offer our customers the best of the best, the experts at Essig Motors in Aledo, IL think it would be a great idea to take a closer look at the 2018 Chrysler Pacifica minivan. No matter which of the six trim levels you choose, the 2018 Chrysler Pacifica offers a great deal of performance. The standard 3.6-liter Pentastar Variable Valve Timing V6 engine produces 287 horsepower and 262 lb.-ft. of torque, and when combined with a 9-speed automatic transmission it delivers with 28-mpg highway and 18-mpg city in fuel economy*. If you are someone who likes to break new ground, you'll want to check out the 2018 Chrysler Pacifica plug-in hybrid that gives drivers up to 33 miles on electricity alone and an EPA equivalent rating of 84 MPGe. When you look at all this performance and the fact that it was voted by J.D. Power as the highest ranked minivan in initial quality, we strongly believe that the Chrysler Pacifica comes out on top of the minivan vs. SUV battle. 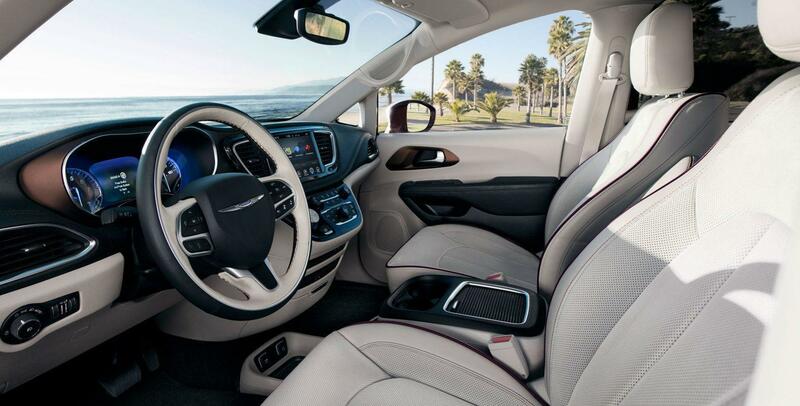 Since you and your many passengers will be spending a good deal of time in the 2018 Chrysler Pacifica, the experts at Chrysler have included an impressive suite of technology features. To keep you connected with home and work, there is the available Uconnect 4C NAV system with a bright 8.4-inch touchscreen, HD Radio, Apple CarPlay and Android Auto support, integrated Uconnect Voice Command, 3D graphics, and SiriusXM Traffic Plus and Travel Link. If you want your passengers to stay entertained and even quiet, there is the Uconnect Theater with dual 10.1-inch HD touchscreens that includes a Blu-ray player, wireless three-channel headphones, Bluetooth touchpad remotes, and downloadable games and apps. If you like what you've read about the 2018 Chrysler Pacifica, it's time to visit Essig Motors. We make scheduling a test-drive easy! All you need to do is call or email the sales and service experts at Essig Motors and we'll get you behind the wheel of a 2018 Chrysler Pacifica or any of our other impressive new and pre-owned Chrysler vehicles.